North-by-North-east is upon us again folks and this year is a great showcase of underground, and independent artists from around the world and Canada. It kicks off tonight with club shows across the city and continues until the wee hours of Sunday night/Monday morning. Here are some of my choices of must-see acts this week. A superb singer-instrumentalist from the Netherlands, Jacco Gardener brings a blend of modern baroque pop similar to Tame Impala, with psychedelia harkening back to the 60’s. Gardener has a ghostly presence in his songs, with vocals that sound like he isn’t exactly singing at anyone in particular, just to the space around him. His live shows plan to be entertaining, being accompanied by a full band to perform the songs that Jacco recorded by himself playing all the instruments. You can catch Jacco gardener’s psychedelic pop twice, at the Horseshoe tonight at 10pm and tomorrow at the Garrison at 11pm. Electro-pop trio For Esmé has taken the Toronto music scene by storm, bringing raw lyrics to life with smooth beats and elegant harmonies. Lead singer Martha Meredith delivers each song with a strong yet soft voice reminiscent of Karen O, Emily Haines and Becky Ninkovic of You Say Party! With a date during NXNE and set to perform at Wayhome Music Fest later this summer, For Esmé better get used to being recognised and loved by fans around Toronto and Canada-wide. Sway along to their electro-pop at the Horseshoe tonight at 1am. A psychedelic post-punk band from Grand Rapids, Michigan, Heaters have been rapidly growing over the past two years, performing at SXSW and releasing a number of EPs. Blending West Coast psych-rock, post-punk and fuzzed vocals and guitars, Heaters have created a unique sound unlike any other up to now, causing many music blogs and magazines watching them for 2015. To see Heaters live, go to the Garrison tommorrow at 4pm and M is 159 Manning on Friday at 4:30pm. Not named after the Disney princess, Elsa is a fantastic local surf-rock band that have had a great year, opening for Alvvays at The Opera House late last year. With smooth grooves and expert guitar riffs, Elsa will have you swaying and relaxing in any venue. Check them out at the Silver Dollar Room tomorrow at 1:00am. 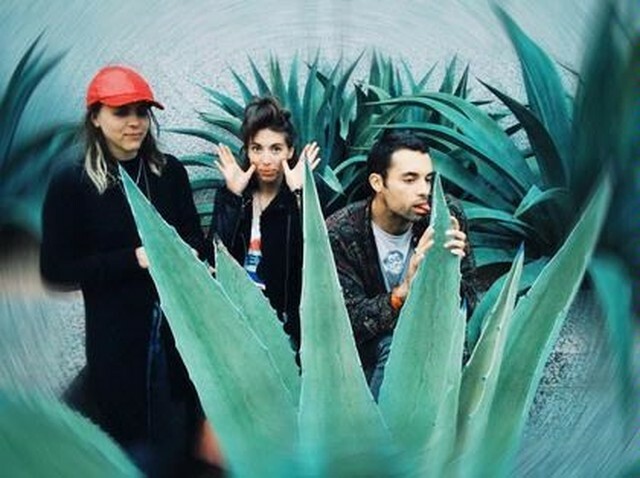 Sibling trio from toronto, DOOMSQUAD brings together trance, world music and psychedelia for an unforgettable experience. Trevor, Jaclyn and Allie Blumas are talented instrumentalists that see the quirky and obscure parts of life, such as putting down as an influence on their music “cats opening their eyelids”. To check them out, DOOMSQUAD are performing tonight at Lee’s Palace at 11:00pm and on Saturday at the Garrison at 2:00am.